Canadian amp and pedal company Revv Amplification recently documented the process behind making one of their G4 distortion pedals. This is one of those videos you didn’t know you needed to see, but you definitely do. 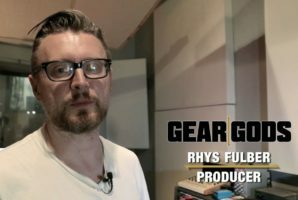 As an outlet that has seen their fair share of guitar pedals, it’s difficult even for us to think of what goes into making them, so this mini-documentary breaks it all down in a very welcoming way. Check it out, and learn more about the G4 on the Revv website!